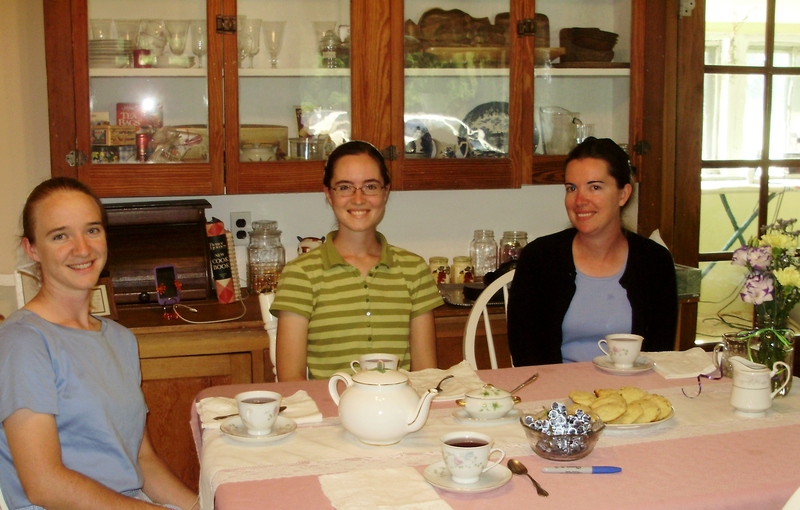 My friend, Julie, invited me to a tea party with a couple of her sisters, Amy and Betsy. It was a delightful time. A tea party means getting dressed up and using your best manners. Julie served tea that she had purchased in England when she was there, not too long ago. She also served Scones and Concord Grapes. We had such a good visit. Friends are always interested in each other so we all contributed to the conversation. But after I left and was thinking about it…there is more I wanted to hear about…the time went too quickly! Well, there’s only one remedy that I can think of…I’ll invite them to my house for a tea party! Yes! I want to hear about the plans for Africa! This entry was posted in Friends, Tea Party and tagged Friends, Tea Party. Bookmark the permalink. Thanks for coming. It was fun. Thanks for your comment, Amy. I’m glad you re-found me! Thanks for commenting! It’s one of my favorite things to do! Thanks for inviting me! Thanks for commenting, Sydney! I’m so glad you love tea parties! They really are special! …and so are you!